There are many factors to consider before choosing a roofing and siding contractor to perform work on your home. When you first begin your search for a good roofing and siding contractor, the most important thing you can do is research. It isn’t enough to have a list of potential roofers or siding contractors whom you think may be able to perform the work within your budget. Doing research on a roofing and siding company will give you a sense of how they perform and how their work holds up in the long run. Don’t rely on testimonials that are found in their advertisements or on their website. If possible, find a homeowner who has hired them for a similar roofing or siding project on their home. Talk to the homeowner and ask specific questions about their work. Was the job completed on time? Did they have to come back for repairs? Did the contractor give a correct estimate and not surprise the homeowner with added expenses during the project? 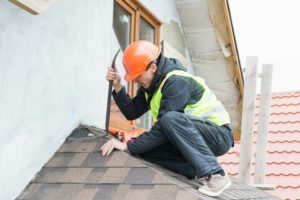 You may want to check with your neighbors or walk around your neighborhood (Crystal)to see what types of roofs they have and whether or not they have had work done on their homes recently. Your neighborhood is a great place to start your research on roofing and siding contractors because you can get great recommendations from people you trust and you know that the contractor has no problem getting materials to your area. Roofing and siding companies who are nearby will end up costing less because the distance they have to transport the materials will be less. Another thing you will need to consider while searching for Roofing Companies, before contacting a roofing and siding contractor is what type of roofing shingles or siding you want installed. Having an idea of what you want will help you narrow down your list of contractors, as some may not have experience installing a certain type of shingle or siding. Take into account the architecture of your home. For traditional, classic homes, you may want to install a roof that is similar to the original look of the home. The same goes for siding and replacement windows. If you are trying to preserve the classic look of your home, choose materials that offer modern protection and convenience with a traditional look and feel. It is also important to remember that modern materials can mimic the look of natural wood while offering the unbeatable protection of vinyl or fiber cement. Whichever siding or roofing material you choose, it is important to find a contractor who has experience installing it. We can help you with Roofing Companies in Crystal! Finally, get in touch with the contractor and have him provide you with a written, detailed estimate with all projected costs clearly defined. Make sure the contractor is licensed and insured. If you trust your friends and neighbors who recommend the company, you should have no problem trusting the contractor to perform quality roofing and siding work. Choosing a good roofing or siding contractor can be a easy thing, but you need to do your research on them first. You need to know the look your going for with your new roof or siding, and the type of roofing contractor or siding contractor you are looking for to meet your needs. Roofing is a common service for the general population to require, so there should be a variety of roofing and siding contractors in your area. You will need to choose the roofing contractor who best meets your needs so that you will be happy with the roofer who puts your new roof over your head. Consider what sort of roofing shingles you are looking for. Depending on your area and the general architecture of your house most likely will help determine the roofing materials may be the best option for your roof. For a roof replacement, you may want to investigate to see what roofing material was originally used to construct your roof and maybe upgrade from there. TPO membrane and EPDM rubber membrane are two of the most common choices for a new flat roof. There are a variety of differences between TPO and EPDM roofs. TPO has become popular with roofing contractors in the recent past, and many believe that TPO roofs are more durable and withstand building movements better than EPDM roofing materials. On the other hand, EPDM roofs have been in use for a long time, and few people have any complaints with them. Architectural shingles are a common type of roof for sloped roofs. You will want to choose a roof contractor who is amenable to the type of roof you are looking for. Need more information on Roofing Companies? We can help! You should definitely look at some other houses on your street, Crystal, or friends in the area and if you like they way it looks, ask them about their experience with the roofing contractor that installed it. Follow up on their recommendations. If no friends have recommendations for roofers, or if, for instance, you cannot find a roofer who specializes in flat roofs, you can take your roofing contractor search to the internet. If you find your roofing contractor online be sure to ask for references and discuss possible prices. Talk to the roofing or siding contractors who interest you on the phone to get a feel for their methods of replacement or any questions or concerns you may have before even asking them to come out to give you and estimate. This way you are not wasting your time or theirs. A good feel is to see how high pressure their selling strategy is. If they are high pressure that is a good indication they will be at your house talking for a good hour or more trying to get you to sign right then and there and that their price will be even higher than the norm. Trust yourself with the choice your going to make and be confident that you have made the right decision.